Join us for this rare one-off occasion as we host the fantastic documentary: Cereal Killers Two – Run on Fat followed by a Q&A session. Featuring a stellar line up of guests for an open Q&A session after the movie, where you can get all your questions answered by a panel of experts. Dr Peter Brukner who features in the movie, is a specialist sports and exercise physician, and currently Australian cricket team doctor. He is the founding partner of Olympic Park Sports Medicine Centre in Melbourne, and Professor of Sports Medicine at the Latrobe University. Peter is the co-author of the widely used text book Clinical Sports Medicine. He was the Socceroos team doctor at the 2010 World Cup in South Africa and more recently Head of Sports Medicine and Sports Science at Liverpool Football Club. Dr Maryanne Demasi is a journalist, a producer and a presenter of the ABC Television “Catalyst” program. In 2013, Maryanne produced and presented programs including “Toxic Sugar?” and the 2 part series “The Heart of the Matter” which examined the evidence surrounding professional dietary recommendations for foods containing sugar and saturated fat. Most recently, she produced a program called “Low Carb Diets: Fat or Fiction?”. Dr Kieron Rooney is a metabolic researcher and lecturer in biochemistry and exercise physiology. Kieron’s particular research interests include the roles diet and physical activity play in the regulation of metabolism in healthy individuals and metabolic disease states such as obesity and type 2 diabetes. Kieron is also an advocate for reform of the NSW Nutrition in Schools Policy in aid of facilitating healthy eating in schools. Where – Randwick Ritz Cinema, Sydney. 45 St. Pauls Street Randwick, NSW, 2031. 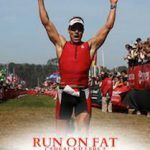 Synopsis – Run on Fat charts world class triathlete Sami Inkinen’s transition from pre-diabetic sugar burner to a faster, healthier, fat fuelled endurance athlete under the guidance of New York Times bestselling author Dr Stephen Phinney. 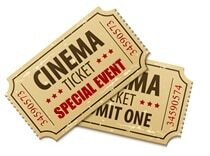 Each guest will receive an event show-bag and will also go into the draw to win an awesome prize-pack worth over $360. Note – Food and drinks are not provided. But there is a bar there where we will mingle and chat after the Q&A.